Bollywood loves Manish Malhotra and there’s no doubt about it. He is the man when it comes to dolling up our divas and dressing our charming heroes in glamorous avatars. 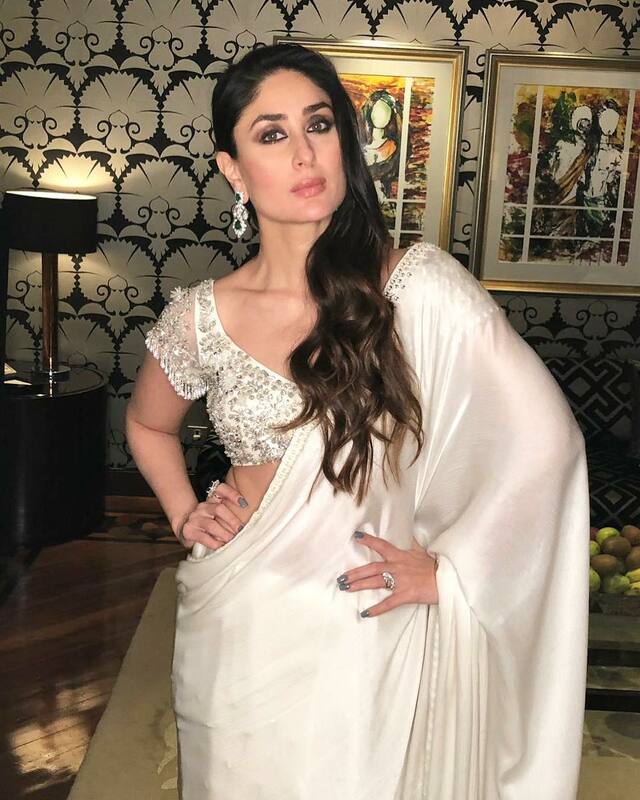 Be it on the silver screen or events off-screen, Manish Malhotra fixes all the celebrity looks. While there are others in the game, the original Bollywood favourite is Manish Malhotra. And so here are our favourite looks from none other than the maestro himself, scroll and steal! Whoever said white is colourless and dull needs to refresh their feed! White is our favourite party colour now. 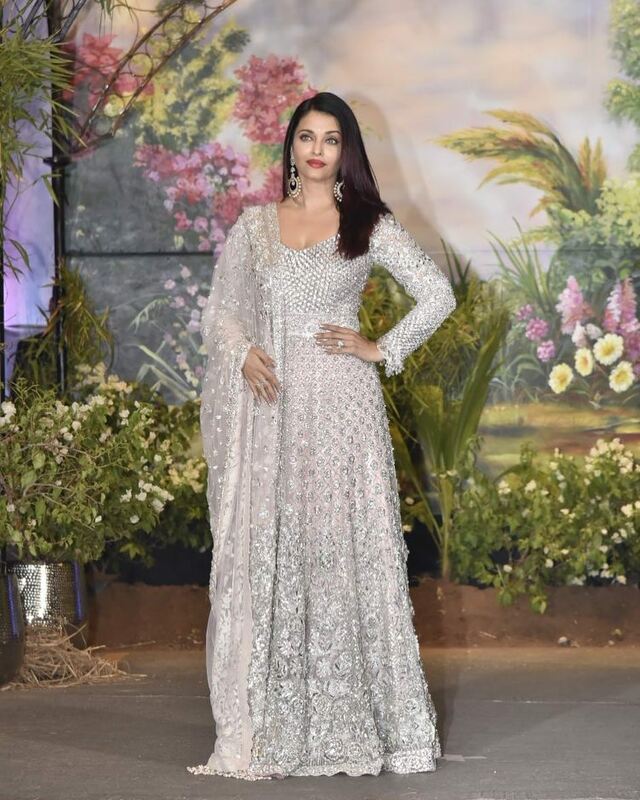 Thanks to Manish Malhotra! 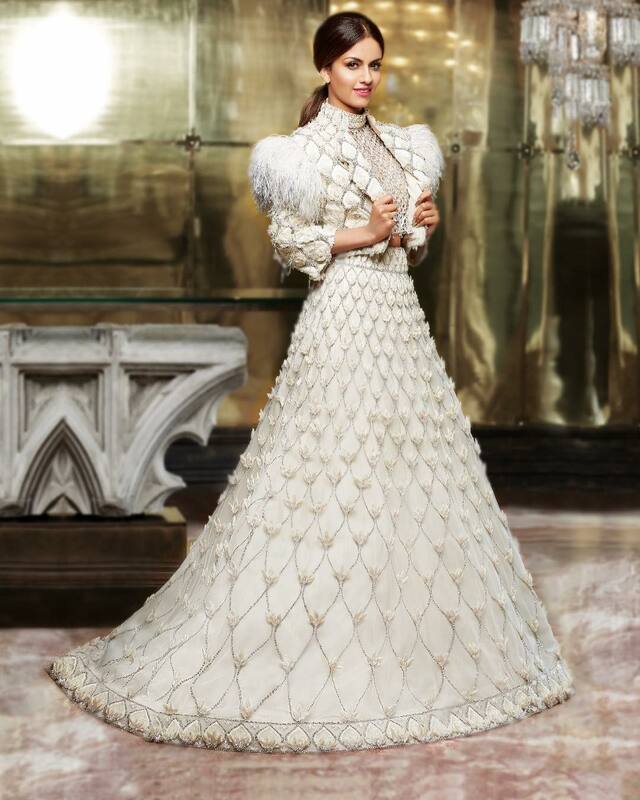 Deepika Padukone rocking the ‘all-white’ look! The colour white is purity in the ultimate sense. 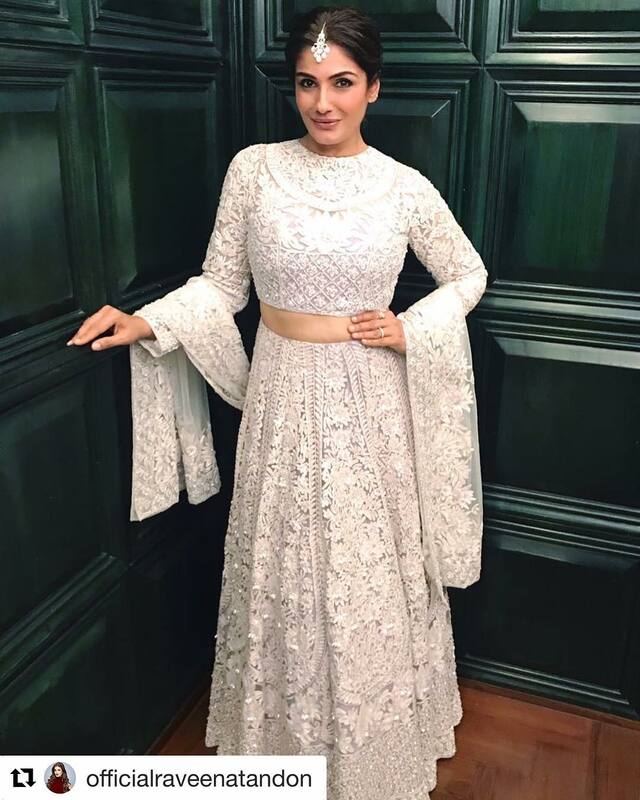 Raveena Tandon looks absolutely stunning. Two divas making one big bold fashion statement! We are loving the feather details! Amaze all your guests by showing up in all-white.